These little berries are packed with a powerful array of health benefits to keep your body feeling strong and nourished. They are believed to protect against age-related eye diseases, provide immune support thanks to their antioxidant content, and may help to stabilize your blood sugar. They also contain beta-carotene, which can help to promote healthy skin. 😋We have decided to enjoy a dose of goji goodness by putting an @cbdsuperfood spin onto the snack classic, ants on a log. Paired with the protein of peanut butter and possible benefits of CBD, these offer a crunchy, nutritious bite to provide you with energy in the afternoon. Cut celery into three inch long stalks. In a small bowl, mix peanut butter and coconut oil until well combined. If coconut oil is solid, heat a pan on the stove, remove from heat, and place coconut oil in pan until melted. Then mix. 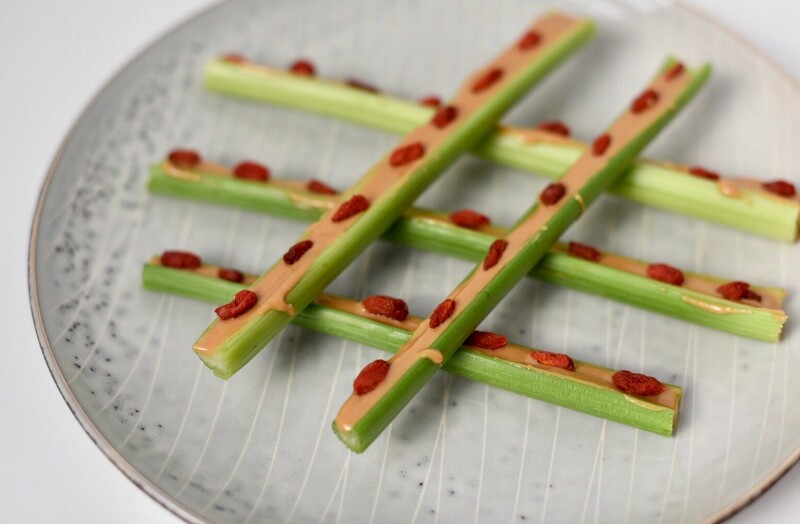 Lather celery stalks with peanut butter mixture. Top with goji berries, and enjoy!